A trunk full of the stories of my many lives! And because of his glory and excellence, he has given us great and precious promises. These are the promises that enable you to share his divine nature and escape the world’s corruption caused by human desires. Healing comes in many forms. It also sometimes comes in bits and pieces sometimes- instead of all at once. available to all journal keepers. It is the one thing that I have done for so long it is part of who I am. put it to paper and revealed, revered and reflected the soul that I was. staring back up for all to see. but after further consideration I have held back. The one time this idea became exceedingly strong was shortly after being introduced to my Savior. I wanted to burn every thing written on those pages because of the very stark reality portrayed. Captured under the microscope were lurid details of my very nature. It was not pretty at times. when one looks upon their reflection in still water. no hiding from those pages jealousy, anger, selfishness, and fickleness. Yet there was also an authenticity on those pages that would not be denied. A rawness, that staked a claim which would not be refused. there was yet another still, small voice which was yet to be released. I did it impulsively as much of what I did in my early years. I soon began to pour out my heart and soul once more on paper at the requirement of a professor for a Human Relations class I took at 18 years of age. The wonderful and challenging thing about this was that we were expected to journal on specific hypothetical questions as well as reflect on the class and our experiences personally. Well that was all it took, from this point on I picked my pen back up and have never put it down. I continued to journal my life journey and put on paper “the good, the bad and the ugly” as well as the big kahuna philosophical inquiry into life’s deeper meaning. My pen became a vehicle for the underlying voice which was birthed on that day. As I wrote at times I felt the Spirit move within me and the pages began to be transformed by the power of His Spirit. Years passed and much was recorded on the pages. There in those pages emerged a new voice…there was no doubt. But the old voice was also there, questioning, pleading and at times accusing. But still, hidden among the rambles, a Light was beginning to shine (John 8:12) . A light that would not be snuffed. I had no claim to but instead which laid claim to me. There slowly the pages began to show a relationship instead of only my thoughts, feelings and activities. Emerging out of the darkness was a voice which revealed wisdom, hope and clarity. So you see I could not burn those books, after all. They became precious to me as they revealed the heart of the one who came to bring light, life and truth. This same one promises that in time, everything unworthy will be burned up. But, for now I will keep these journals, because I never want to forget exactly who I am apart from my God and his amazing grace. I need to remember, even as I, with Paul, press on to that which Christ has taken hold of in me… that depth which I have come from- to keep me from the sin of the Pharisees and the blindness of pride. In these journals there is healing, supernatural birth and transformation better than any ‘Transformers’, Superhero or action movie. as He relates to me and I to Him. I am thankful that I didn’t follow through and burn those books. and the transformation of one sinner to saint. “So pay attention to how you hear. To those who listen to my teaching, more understanding will be given. This is a Re-Post (gently revised) from July 3, 2011. Join our Link Up every Friday! come along and join in the blog hop! Click Here for the Grace Cafe! 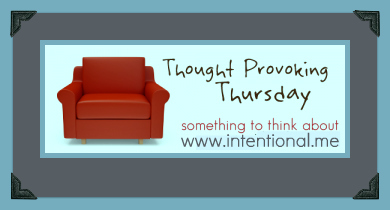 Click Here for Thought Provoking Thursday! How neat! 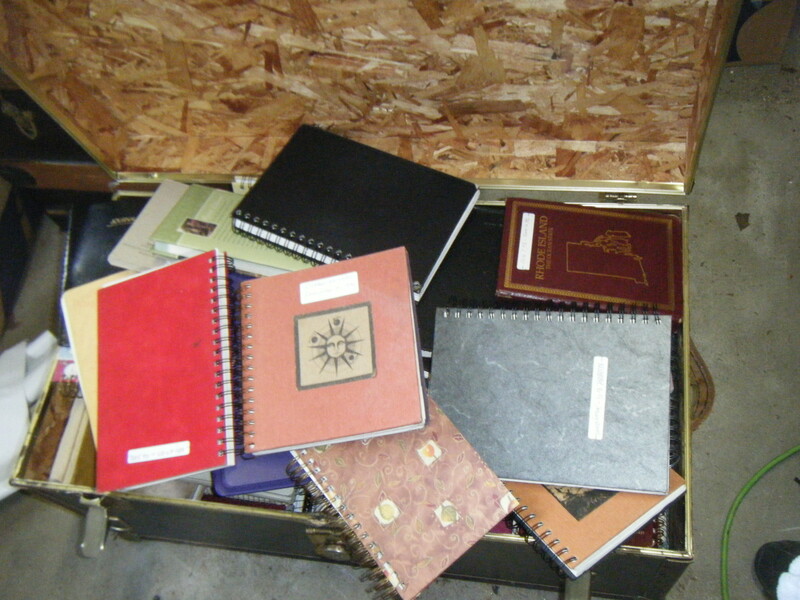 I'm so glad you kept those journals and that you continued writing. Keep up the great work! I have my journals from when I was six and my mom started me keeping one for school. It's awesome to be able to look back at what God has done in my life! This is a testimony to the power of God and to the craft of journaling. Journaling has a lot of positive aspects to it. You have named several. Would love for you to link up and share! Thanks, Michelle- love your Blog space as well! I agree, Cecelia- there are too many to list! I am so thankful you posted this and this is why: When you told me to keep a journal, I wrote a some thoughts on my computer. But TODAY, I bought a journal. There is something so wonderful about writing in your own handwriting and in your own thoughts. I love this post! Thank you for inspiring me Dawn!!! Oh, Ashley- you will treasure it- I know. I treasure each one of mine! You must promise me this: don't worry about it being perfect – just let it be whatever it is…trust me I have some neat and lots of scribble, falling asleep writing- let it be whatever it is each day. Shouting and angry writing is the messiest. Ahem. Truth be told. Have at it and enjoy! So excited for your journey. My pleasure- wonderful place and great meeting you! i haven't kept a journal since having kids (2 in 16 mos made life a bit hectic!) -besides my blog. but i do enjoy going back and reading and seeing the transformations the Lord has done during my journey. thanks for reminding me how important this is! every time i start a journal, i end up destroying it because i don't want anyone else to read it. blogging is the closest i can come to leaving my words behind. Yes, Annmarie!There are so many benefits and we really do forget God's faithfulness quickly, just like the Israelites! Carissa, thanks for visiting! My writing when my girl was little was sporadic and often showed entries where it was obvious I wrote half asleep! There are many ways to keep snippet entries in small journals to carry in your purse or by to your night table/kitchen. I can understand that, Becky. Although I do share my journals on my Blog, I can edit. My journals record and reveal more of me than this blog except when I share on Random Journal Day- I think there is purpose in raw honesty. But obviously we need to be careful and use discernment. I am always being spell checked for the journal terms, Debbie! Will you consider sharing perhaps a teeny excerpt from one of your journals? As you feel led and comfortable. 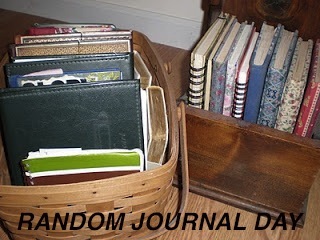 I love to see, share and hear on Random Journal Day. I love when I see something I totally forgot! Which is often! God is so amazing- and it is good to record to remember!